The facts of the case are straightforward. A Hobby Lobby customer in Gwinnett County (about 35 minutes outside of Atlanta) is injured as she pulls a white board off a mounted display. As she is moving the white board, the entire display falls on her. The customer tumbled and the display landed on top of her. She fractured her left hand in the accident. A Hobby Lobby employee later testified as to why the accident occurred. She said that the display brackets were misaligned and that this error caused the accident. In reality the brackets were misaligned but they also broke during the accident. The store manager testified that the shelving brackets were regularly inspected and any defective components were discarded. In fact, the brackets that failed had been inspected the morning of the accident. After the completion of discovery, Hobby Lobby successfully moved for summary judgment based on the fact that they did not have any superior knowledge of the defective brackets. 3. 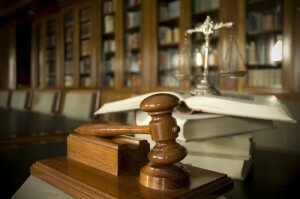 The plaintiff had no knowledge of the defective condition but exercised ordinary care. At issue in this case was whether the defective bracket was a hazardous condition and whether Hobby Lobby had constructive knowledge of that condition. The plaintiff argued that the bracket was a dangerous condition and that the store had constructive knowledge because an employee had installed and maintained it. The plaintiff’s problem was that she did not present evidence to prove that the misalignment of the bracket caused it to break. As no employee was in the immediate area of the hazard, there were no previous similar incidents, and the condition could not easily be known, the court did not find that Hobby Lobby had constructive knowledge of the dangerous condition. The court also noted that Hobby Lobby had sufficient inspection procedures and that the bracket condition was not readily apparent just hours before the accident. Essentially the court found that Hobby Lobby was not liable because they were doing a good job maintaining their shelves and there was no way for them to anticipate this occurrence. Had the store had previous similar incidents or visibly damaged shelves, plaintiff probably would have been successful. In a perfect world, Hobby Lobby should bear the cost of plaintiff’s injuries. First, they are in the best position to bear the loss because they probably bear some fault – failure to inspect and know what is what in your store. But, between the two, who should pay for the loss? Certainly, the victim is as innocent as she can be. Isn’t the business in a better position to bear the loss? I’ll answer that for you: they are. But public policy in Georgia and in most other states has evolved differently than I would have liked.